In the late 1850s, a German immigrant named Johann Albert Lotz put the finishing touches on a house that he had built in Franklin, Tennessee. A skilled carpenter and piano maker, Lotz used his new home to showcase his work to potential clients. A few short years later, on Nov. 30, 1864, 20,000 Union soldiers fighting in the Civil War marched into Franklin, constructing barricades a mere 100 yards from Lotz's home. The Lotz family sought refuge from the battle in a neighbor's basement, and the ensuing battle raged for 17 hours, becoming the bloodiest day of the entire Civil War. The Lotz family survived the deadly battle, but they were so scarred from the human wreckage that they relocated to California. Lotz's young daughter, Matilda, went on to become a renowned artist with works still today displayed in prominent venues across the country. 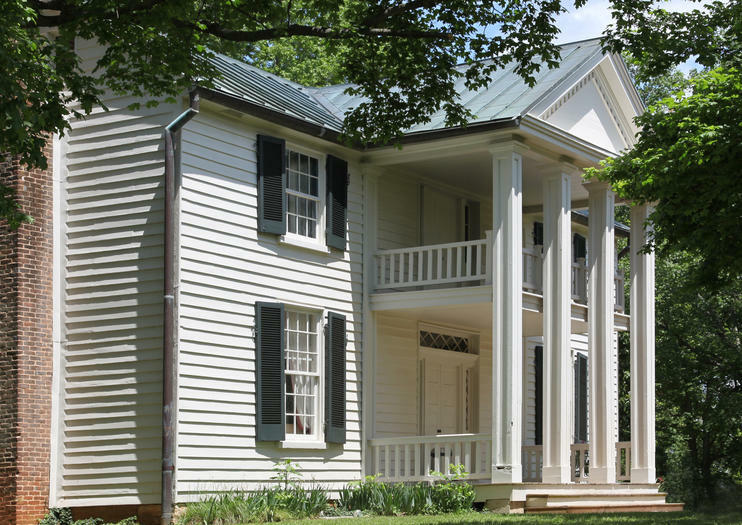 The Lotz House was added to the National Historic Register in 1976, and today, the house is a converted museum, telling the story of the Battle of Franklin through the eyes of a family whose story is as compelling as they come. Tours are offered Monday through Saturday from 9 a.m. to 5 p.m., and on Sunday from 1 p.m. to 4 p.m. or by appointment. The last tour every day begins one hour before closing. For a more comprehensive view of the Battle of Franklin, visit the nearby historic Carnton Plantation, where the Lotz family retreated to the basement for safety, and the McGavock Confederate Cemetery. Hours: Tours are offered Monday through Saturday from 9 a.m. to 5 p.m., and on Sunday from 1 p.m. to 4 p.m. or by appointment. Take a relaxing horse and carriage ride around Nashville on this short tour. Your private group of up to nine people travel around the Music City as you spot popular places, such as the Wildhorse Saloon, the Johnny Cash Museum, the Country Music Hall of Fame, and the War Memorial Auditorium. Plus, choose between different departure days and times to fit your schedule. Step back in time to 1864 and the Civil War’s Battle of Franklin on this guided walking tour of the Lotz House Civil War Museum. The Lotz House, which is listed on the National Register of Historic Places, became a war zone during and a makeshift field hospital after the battle. Hear the story of the Lotz family that built this 19th-century home. Explore the displays, learn more about the Battle of Franklin and see the finest Civil War-era antiques collection in the south — all in one historic tour.